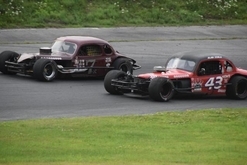 On August 11th, Claremont Speedway in Claremont, NH was the next stop for the tour. 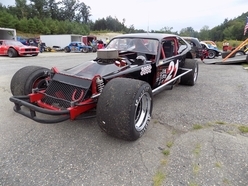 STAR rolled in one by one filling the pits with cars from all over New England and Canada to give Claremont Speedway a night of “REAL OLE SCHOOL RACING”! 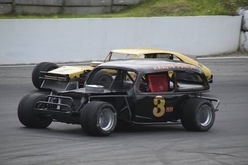 The day would bring the tour 3 rounds of warmups, and the evening would bring the tour 2 heats and 2 features. First the Sportsmen hit the track for their heat race. 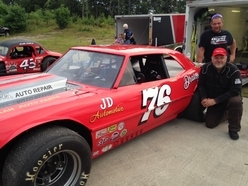 It was Rick MacDowell from Ma in his #76 Camero to shoot out and take the lead on the Sportsmen and dominated the first win and checkered for the tour that evening. 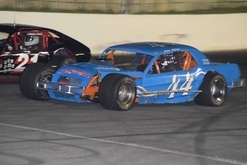 The Modifieds were lined up and ready to hit the asphalt. 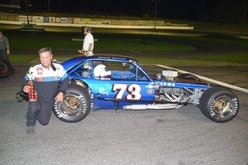 Bob Donahue from NH in his #99 NH coupe was not about to give this win up! 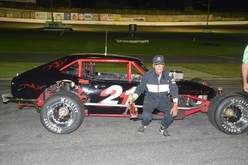 Donahue held his line and took the second checkered for the evening for the Modified heat win. Then it was feature time! Oh yes STAR gave the crowd just what they have been waiting for, “REAL OLE FASHION RACING THE RIGHT WAY!” from the beginning to the end. Race Director Mary Lima stood on the flag stand turning the group over to Claremont’s George Powers who would walk the fans back into time and show them how real racing was started….From the middle of the track! 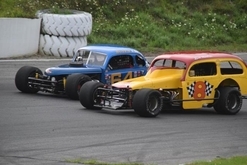 George stood in the middle of the track for feature races, for both the STAR Sportsmen and Modified divisions, bringing them down, crossing them over, winding them up and waving the green flag all from the middle of the track. WHAT A HEAD RUSH! George has been doing this with STAR for over 17 years and it is always a hit! 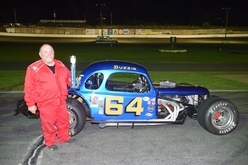 The Sportsmen were off and it was hometown boy Rocky Cusanelli Sr. from NH in his #51 coupe to show the Sportsmen how it was done by dominating the field and taking down the win for the Sportsmen that evening. 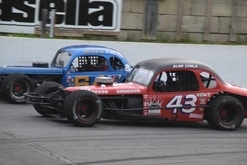 Art Merchant from Ma in his #64 coupe and Curt Snow from Ma in the #110 coupe battle for second, with Merchant taking down the second place and Snow topping off the pack with a third. 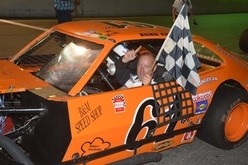 WHOW the coupes ruled tonight in the Sportsmen division! The top three were brought trackside for an out of car interview, photos and awarded with trophies. 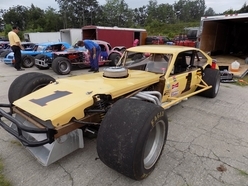 The Modifieds were in place and ready to hit the track for their feature race. 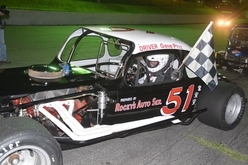 Once more George Powers stood in the middle of the track, crossing them over and then throwing down the green flag as the ZOOMED by him and it was off to racing! 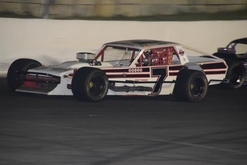 The pack was tight switching positions lap from lap but when the checkered came down in was on Jocelyn Laliberte from Quebec, Canada in his #61QC Pinto to take the win for the Modified division that night! 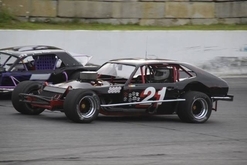 Breathing down Laliberte was Scott Poirier from Ct in his #73 Pinto and Danny Ferland from NH in his #21 Pinto, Poirier taking down the second with Ferland topping the pack off with a third. 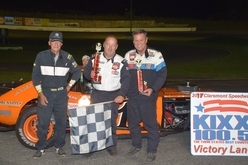 WHOW the Pintos ruled tonight in the Modified division! The top three were brought trackside for an out of car interview, photos and awarded with trophies.